We offer private dining for parties of up to 80 guests. We also offer 2 semi-private dining rooms which can accommodate groups of up to 40 guests each. The Grand Marlin Restaurant features a main dining area with a shucked to order oyster bar, exterior North Drop Bar overlooking Grand Lagoon, and private meeting rooms. 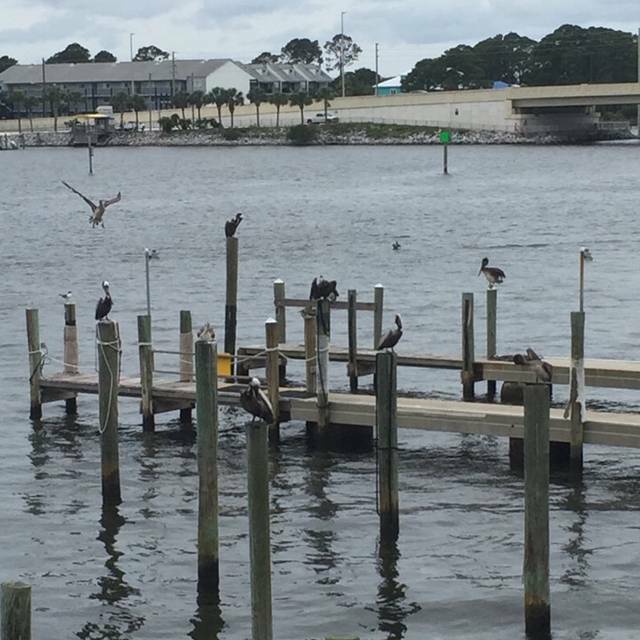 This Panama City Beach restaurant, with an air of island casualness, serves the highest-quality cuisine, including the freshest local seafood featured on menus designed and printed daily to take advantage of the local bounty. The atmosphere creates a fusion of the Caribbean and the Panama City Beach Area. Corporate Executive Chef Gregg McCarthy has a passion for great-tasting food and particularly loves working his culinary magic with fresh Gulf Coast seafood. 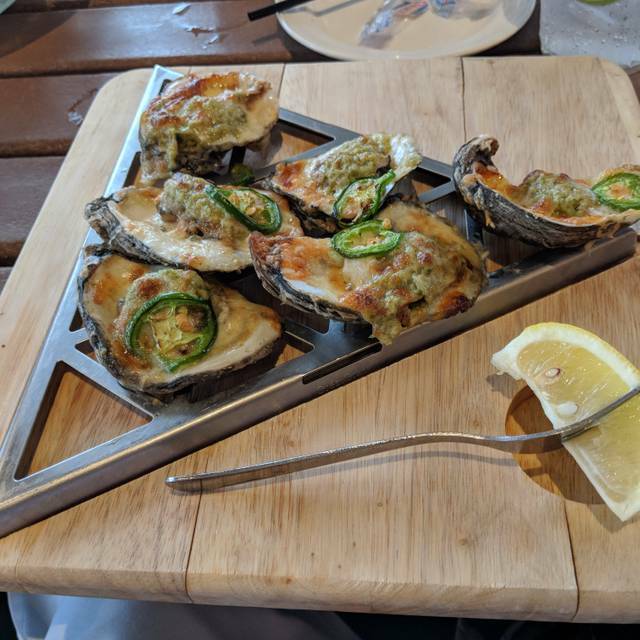 Boaters and beach-goers feel comfortable in shorts and flip-flops at the oyster bar, in the dining room and at the North Drop Bar. The Grand Marlin has a space and atmosphere for all occasions and is looking forward to creating an authentic experience between time and tide. Service and food were awesome, especially our waiter Joshua. We will be back. Fine dining at its best! 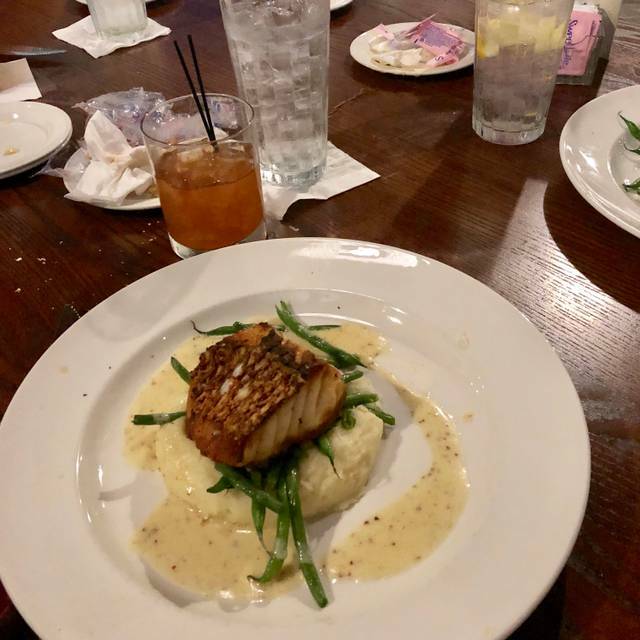 Grand Marlin has nightly specials, and wonderful fresh seafood. YUM. Very professional. Everyone was attentive to our needs. Thoughtful, fun servers. Pleasant atmosphere and appropriate for the coastal setting. Normally love The Marlin. Unfortunately had a hair in one of my oysters today. Puts a damper on the whole experience! This is one of our "go to" spots. 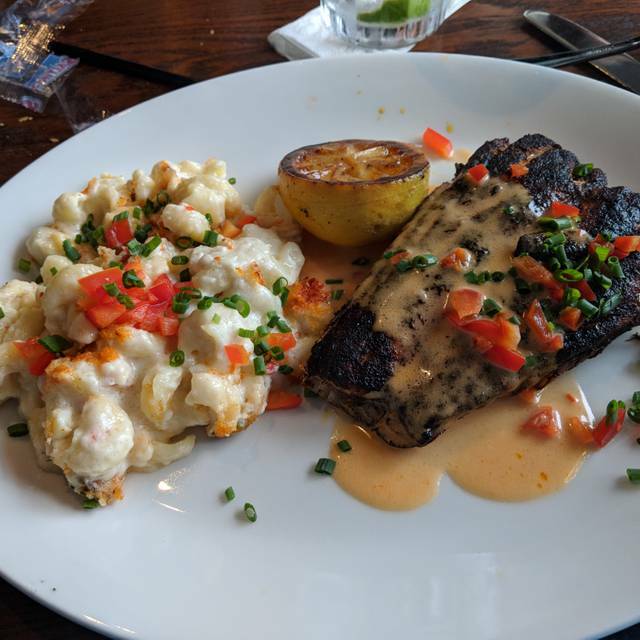 Ask for the prime rib (it might not be on the menu) , I love the crab cakes eggs Benedict for Sunday brunch and the lobster and shrimp appetizers are perfect. We enjoyed Easter Brunch with friends upstairs with wonderful steel drum music and a fabulous view. Maybe because it was a holiday, we waited an extra long time for our food. Overall pleasant experience. Food was excellent and service from Steven was impeccable! Lovely Easter lunch. Excellent food, best in PCB. The calamari and lobster fingers appetizers are amazing. I get them both everytime. Best food in town, never disapoints. Plus, the view is great. Superb wait staff. Alex was exceptional. Grouper picccata was quite delicious!! Nice spot for dinner first night in town. Very windy evening so we enjoyed the waterfront view. Enjoyed the ahi poke and fried lobster fingers along with salad, fish tacos, baked chicken and ribeye. Professional, courteous service. We love Grand Marlin. Our server, Steven, was very attentive and courteous. The food was fantastic. Love the ambiance. My husband and I came for dinner on our last night at the beach. Love that I can make a reservation here, but wasn’t able to get a booth by the water this time (I’ll try again). 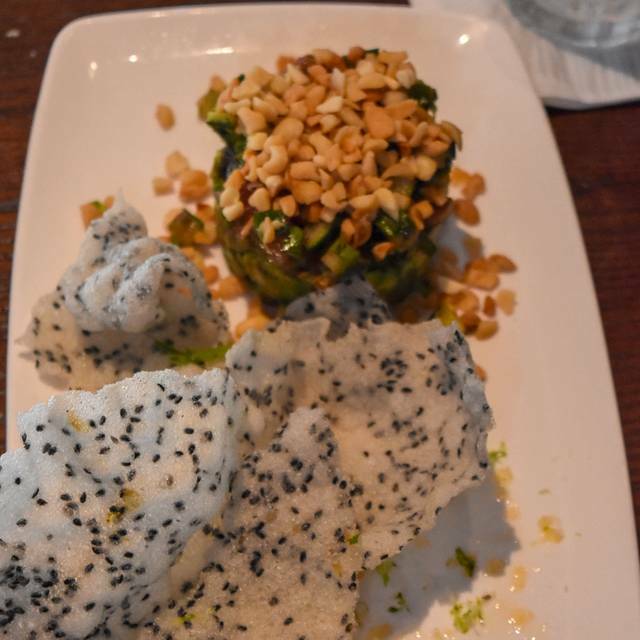 The restaurant was lively and the service was friendly and knowledgeable. 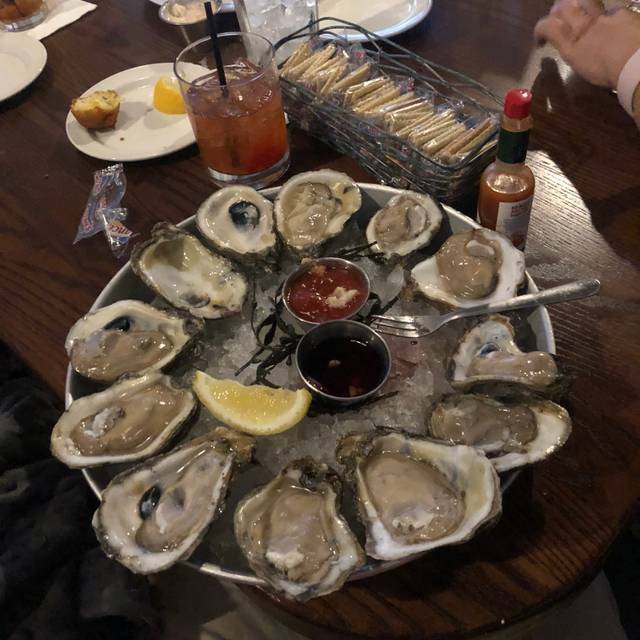 We started with oysters Monterrey and they were delicious - so excited to have baked oysters here after we learned that our favorite PCB restaurant for oysters no longer serves them. The Greek salad was delicious and the grouper piccata was wonderful as always! On this trip, we definitely saved the best for last! 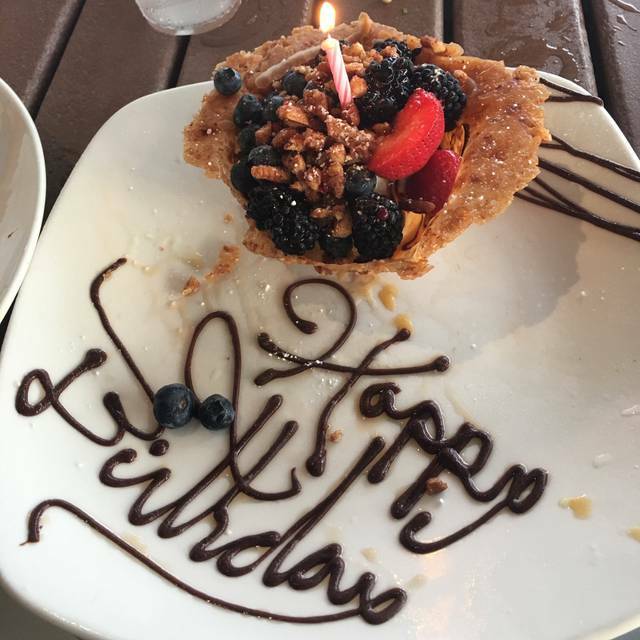 Special touch with the “Happy Birthday” menus. Food was awesome as usual. The only thing was it was freezing in there and was the other 3 times we were there through our winter visit. Had to wesr our jackets through our meal each time. They should really adjust thst for their patrons. Service was absolutely excellent. All food is made and served fresh. It is the best restaurant in Panama City Beach, Fl. Ate here on 2 occasions and it was superb both times. my experience was fantastic. everyone in the party had an excellent experience with the food and service. Food was great and so was Tyler our server. Highly recommend the Grand Marlin and Tyler! Fabulous food & service! Great ambiance! The service was great! Going back soon! The food was fantastic! 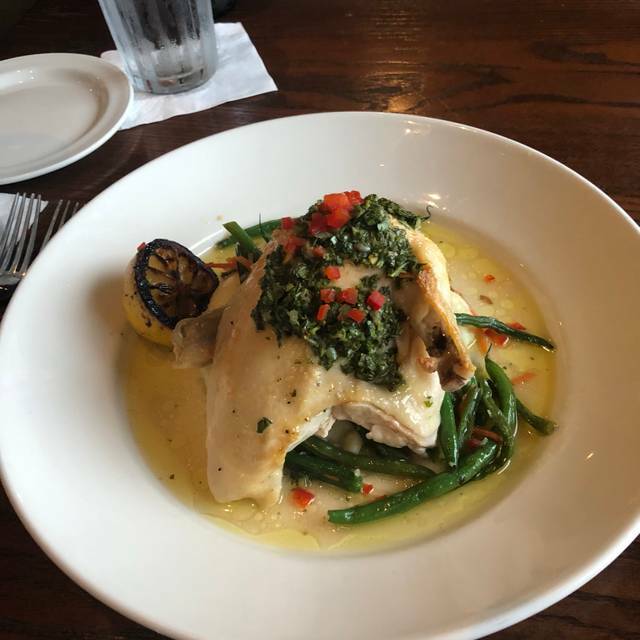 Try the Grouper Picatta from the entree section, it was out of this world! Staff was very accommodating as well. Wonderful meal! Service was outstanding! 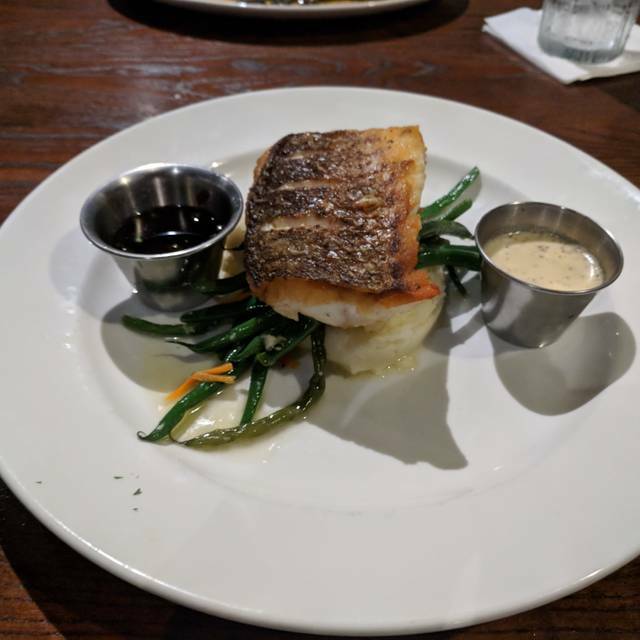 Our server gave great recommendations and my husband and I loved both meals - Grouper Picatta and Scottish Salmon - our daughter age 8 tried them both as well and kept asking for more bites! Wonderful find in Panama City Beach! Waited for over an hour for our food. Excellent food, great service, prompt seating for 6 at our reservation time even though the restaurant was full. High noise due to number of diners. Our most favorite place to eat and enjoy the bay and beautiful sunsets in Panama City Beach!! This is the best restaurant in the area!! Nice happy hour at the BAR ONLY. but you can also order from the main menu and eat in bar area either upstairs or downstairs. Grouper piccata, steak and wedge and crab cakes are wonderful. Sunday brunch is very good. Crab cakes Benedict & prime rib! Brunch mimosas and Bloody Mary’s. Service was great, food was alright but not anything to brag about. Considering we were recommended to come here over Capt Anderson’s it was slightly disappointing. We go to Grand Marlin every trip to PCB. It is our favorite and this time was no different. Or fave is the oysters Rockefeller and you can never go wrong with the fresh local fish. Prepared perfectly. My husband got the ribeye this time and it was also cooked to perfection. Plenty of flavor and very tender. We always have to share bites. Check out the jalapeño martini. Love this place. The good was excellent our servers was extremely attentive and made our dinner very special. We love The Grand Marlin! Our boys always ask to go back! Get the grouper picatta! You won’t be disappointed! We went there for my daughter’s birthday while on spring break. We had Sunday brunch on the second floor, the view is great, the service was excellent, the food was outstanding. Looking forward to our next visit. The Sunday brunch is sooooo good. After several visits, every item on the menu is a winner. The ever changing water views and delicious food make for a great start to any Sunday. We’ve also always experienced attentive service by the staff. And the steel drums are a perfect accompaniment to the ambiance. The Grand Marlin is truly a grand restaurant!